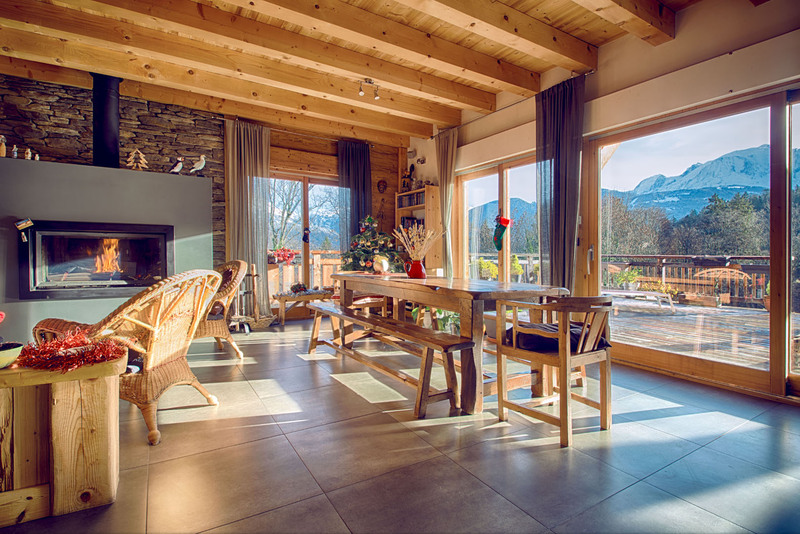 A superb chalet, setting in a stunning Alpine setting, with open views of the Mt Blanc massif, just 5 minutes from the centre of the gorgeous Alpine village of Combloux. 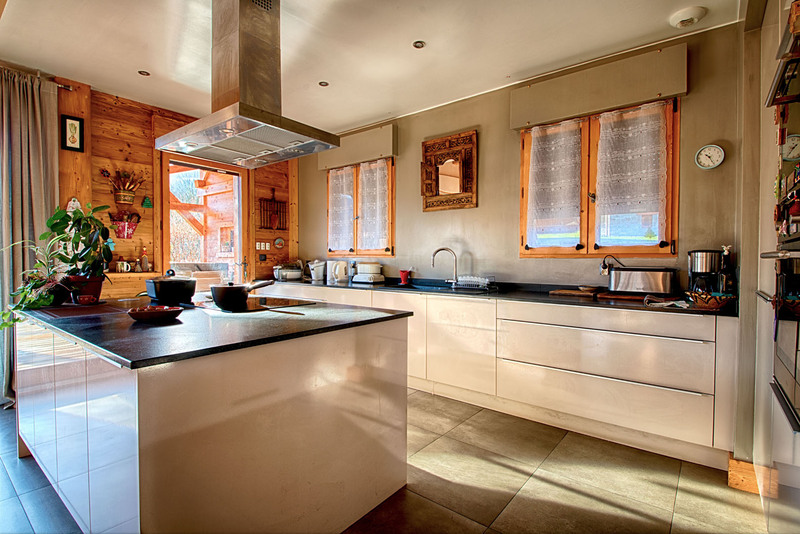 Built in 2013, this chalet is in excellent repair, with a high quality finish, and an exceptional location. The property comprises; Lower Ground Floor: spacious 1 bed independent apartment of 57m2, - this links internally as well as having external access. Ground Floor; Large living room with open plan kitchen (60m2), 1 bedroom with ensuite bathroom, 2nd bedroom, office, shower / WC. First Floor : master bedroom with ensuite bathroom, 2 bedrooms, walk in wardrobe/ storage space, WC. 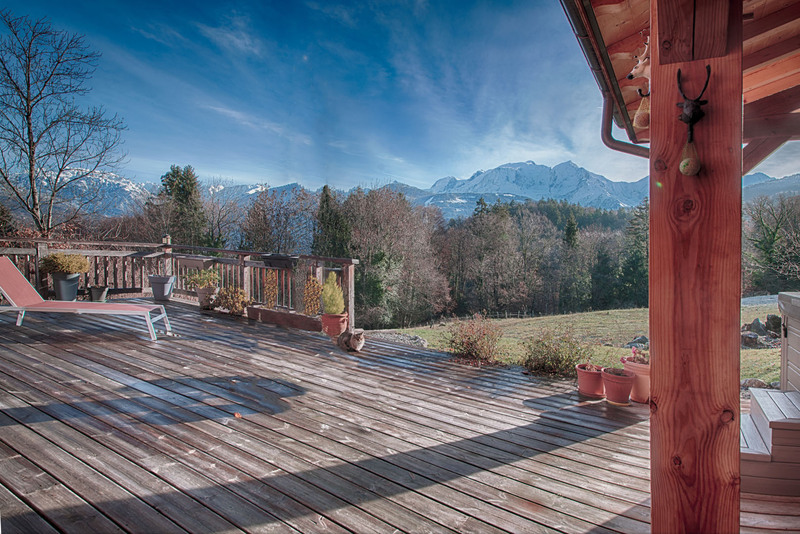 From the terrace you have complete privacy and incredible open views of Mt Blanc. 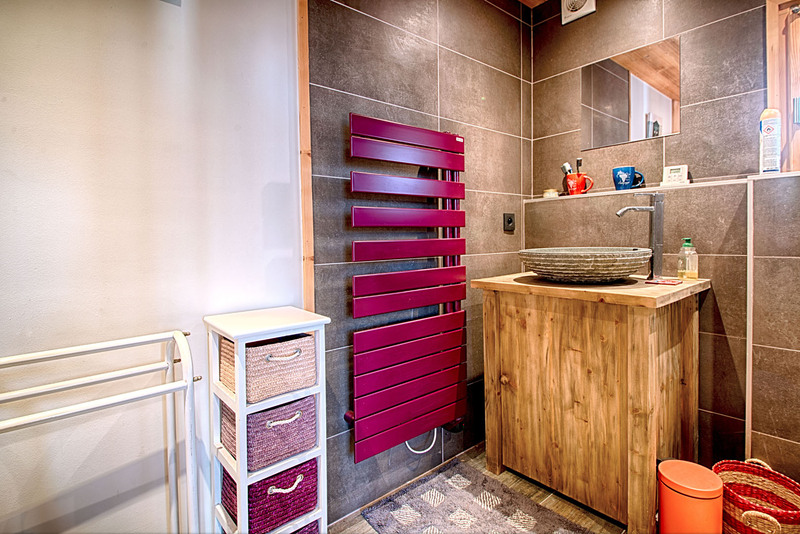 ... as well as a Hot tub! 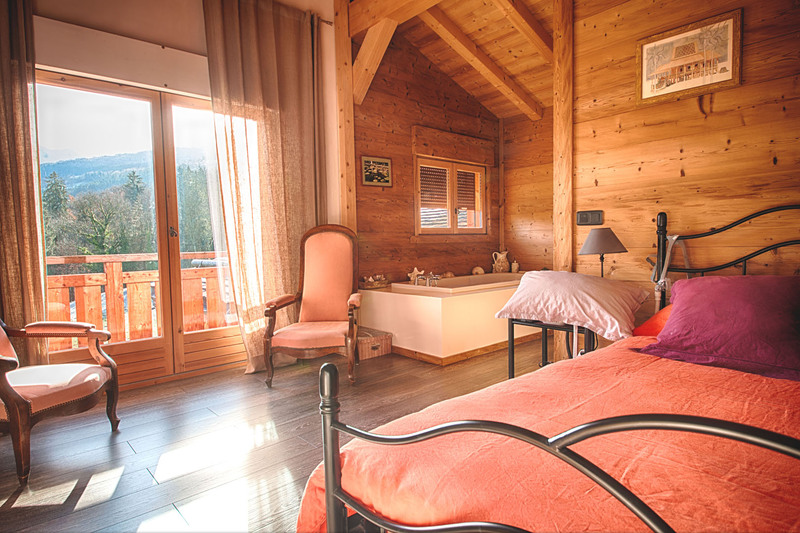 Just 1 hour from Geneva, and easy access to the ski slopes of Megeve, Combloux, Chamonix and St Gervais. 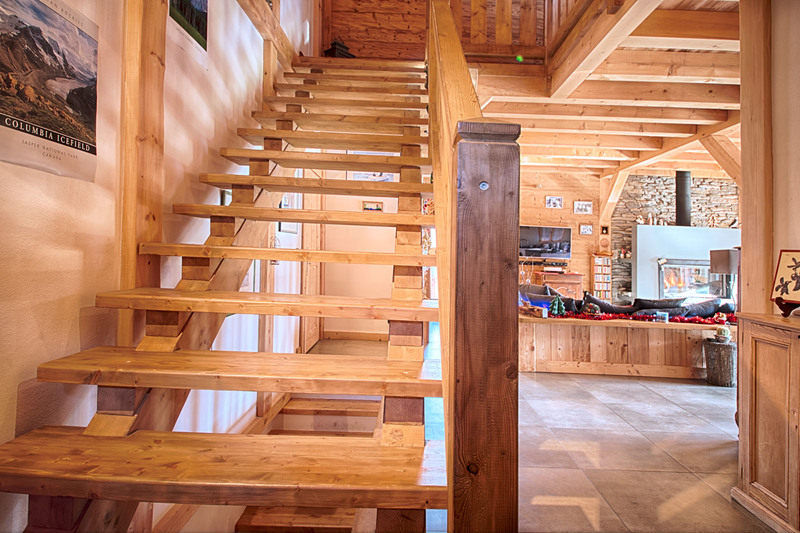 Entrance hall to ... Large living room with open plan kitchen (60m2), 1 bedroom with ensuite bathroom, 2nd bedroom, office, shower / WC. Spacious 1 bed independent apartment of 57m2, - this links internally as well as having external access. Master bedroom with ensuite bathroom, 2 bedrooms, walk in wardrobe/ storage space, WC. 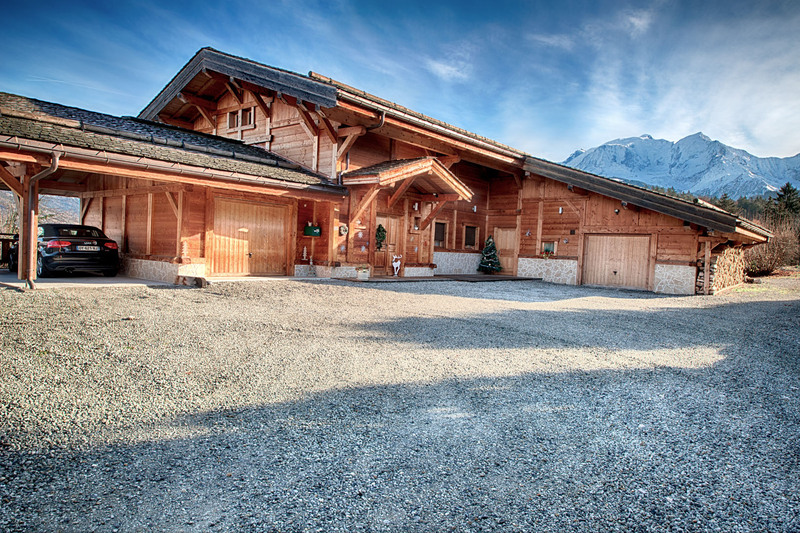 Garage, Car Port, Ample parking, Terrace, Hot tub.